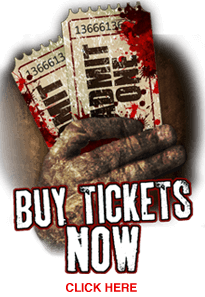 Join us at the Trans-Allegheny Lunatic Asylum for this years haunted house "Hospital of Horrors" Thursday - Sunday Sept. 27th - Nov. 2nd Closed 9/29 $25.00 a Head $10.00 off discount coupon available for Thursday and Sunday nights at Go Marts state wide check www.theasylumwv.com for dates/times and VIP tickets. Please arrive as early as possible Friday and Saturday nights. Be the envy of all your friends, spend the night in a 150 year old Lunatic Asylum this October! So I searched on google to find the office of <a href="https://www.aussiewritingreviews.com/">best essay writing service australia</a> but instead got to this haunted house. I would really like to come over on weekend with my friends and see how it is. I loved the event just wish the weather wouldn't have been so crappy. Thank god we had bought VIP tickets to the haunted house. Standing in line in the freezing rain would have sucked!!! This haunted house is an annual tradition, that brings us back each year. The location is spooky on its own, but the haunted house is just down right scary. It is great that there is other things offered on the grounds as well. The Zombie Paintball is a great addition, and the flashlight tours are fun too. We came early enough to go on one of the historic tours in the day time before the haunt opened. It was very interesting and well done. This is overall an amazing venue. Went this year in June when they opened during some bbq event that was on the front lawn. KILLER!!! I go every year. Better and Better every year. it wasn't bad but it sucked. Really scary, but not the slightest bit frightening. I hated it so much. It was the best time of my life. Definitely don't go there. Highly recommend this for my friends. Thanks but no thanks if you know what i mean.